The Iris Café is a stylish space for high-quality coffee, drinks, cakes and light meals, open to everyone. Drink Italian-style coffee, and try delicious cakes and baked goods from local bakers. The café team create their own light meals for breakfast and lunch. Menus change regularly. Breakfast may include Bircher muesli or yoghurt with fruit, toasted cheese sandwiches, bacon sandwiches, or fresh croissants. 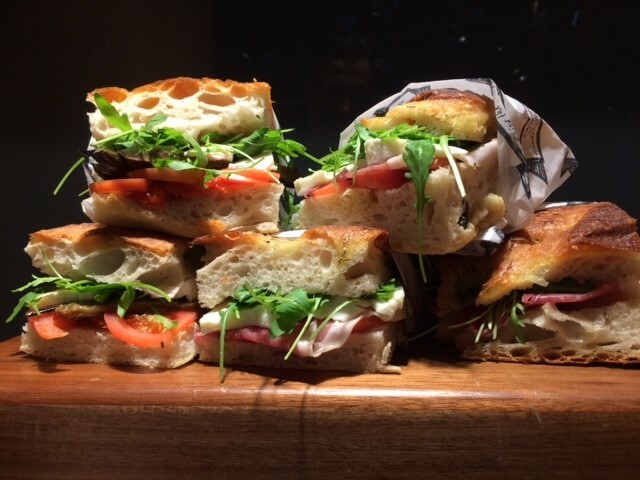 Lunch options may include Italian-style sandwiches, toasties, or a home-made soup. There are vegan and vegetarian options, both very popular. Visitors from both within and outside the University are warmly welcome to eat in the café, with prices the same for everyone. The café is open throughout the day, and becomes a student-run bar, the Iris Bar, at night. Find the Iris Café by walking into the College through the Porters’ Lodge, and turning to the left.